High pressure cleaners are the ultimate soapless cleaners, spraying a high-pressure, concentrated jet of water onto any surface you'd like cleaned to scour it of any tough grime or dirt. The combined power of the water and the pressurised air also being forced out of the pressure washer has an extremely powerful cleaning effect, making it handy for cleaning just about any metal, concrete or stone surface. Some areas of your vehicle can be hard to clean efficiently with just the power of elbow grease. Areas like your vehicle's underbody, tyres and rims are often host to more stubborn dirt, dust and grime. High pressure cleaners are excellent at shifting months worth of built-up contaminants. Provided you don't hold it too close, pressure washers can prove a handy tool for cleaning just about every part of your vehicle's exterior too, particularly if your vehicle's paint has been neglected. What's left behind is a spotless surface that can then be polished, waxed or simply left. Keep in mind, we don't advocate the use of a high pressure hose for cleaning inside your engine bay, as this can mess with your vehicle's electrics. Spares Box's range of high pressure cleaners comes made by Jetpower, a company with years of experience in the manufacturing of air tools, air compressors and pressure washers. 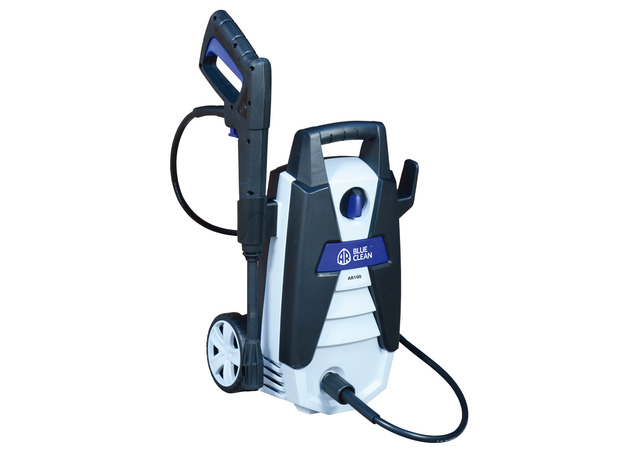 Just as suitable for washing the floors of your garage or driveway as they are for cleaning your vehicle, our range of pressure washers extends from smaller, more portable models for vehicle cleaning to larger, heavy duty units for regular cleaning of tough areas. Every pressure cleaner we sell comes with multiple fittings and accessories to suit numerous applications, and is run by a powerful motor for the ultimate in efficient cleaning. Our whole range of pressure cleaners is electric powered and come with waterproof, safety-approved fittings, saving you both the space and money that come with getting a petrol pressure washer.